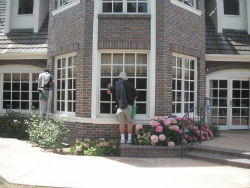 If you don’t have the time to clean your windows, use our company’s window cleaning services. 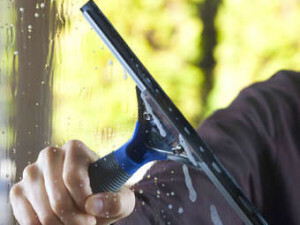 They will remove the stains, dust and dirt from your windows, without leaving any smudges. Our professional window cleaning team will scrub and clean the surfaces of your windows until they become spotless and mirror clean. 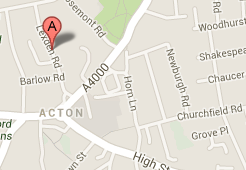 We offer window cleaning for your house, flat, office or some business property. If you call and reserve the window cleaning you need, we will respond and arrange a date and time for your cleaning depending on your preferences. Cleaning your own windows can be dangerous. Use our services for looking after the clean condition of your windows. We use our own equipment for window cleaning, which ensures the safe and successful process of the work of our cleaning staff. After we clean your windows, you will have your rooms well lighted with natural sunlight in your home. If you are an owner of a shop, you can provide the clear view of the interior of your shop for all passers-by and potential clients, using our high quality window cleaning services. No matter how high are your windows, we have the supplies and equipment to safely remove all the dirt from them and make them sparkling clean, and your home or commercial properties attractive. You can receive your own quote from our company, if you call us or send your window cleaning request and requirements online. With our reliable equipment Carpet Cleaning Price can reach even the farthermost angles of your windows and polish them well, apply the necessary cleaning detergent and rinse well. Our cleaning workers are qualified and can clean your windows safely and professionally, bringing spotless and well sanitized glass surfaces. They use special platforms, extensions for their cleaning tools and other devices to reach high building’s windows and clean them properly. Don’t hesitate and check our prices now. 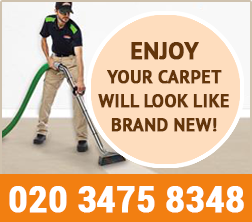 Our window cleaning services are on each customer’s disposal for houses, flats, shops, restaurants, high buildings etc. Arrange your window cleaning to make your home or commercial estate look clean and refreshed like new.